As new FCC Chairman Tom Wheeler begins serving the public, we want to welcome him with open arms and some good advice. ILSR teamed up with the Media Action Grassroots Network (MAG-Net) to create a personalized postcard with ILSR’s Christopher Mitchell. We hope he will print it out, frame it, and place it prominently on his desk. 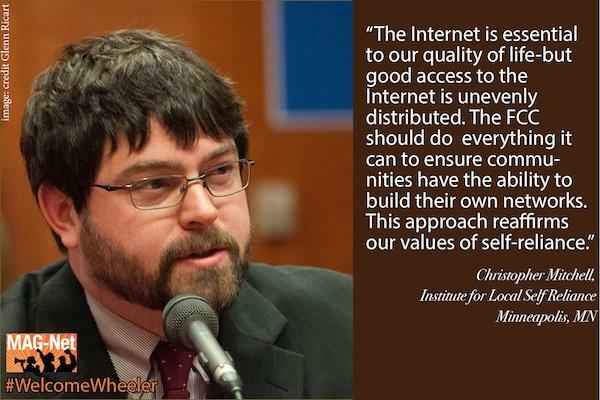 Wheeler, the 31st Chairman of the FCC, began serving on November 4, 2013. Find this and other resources at ILSR’s site devoted to Community Broadband Networks. You can also subscribe to a once-per-week email with stories about community broadband networks.